October 22, 2015. 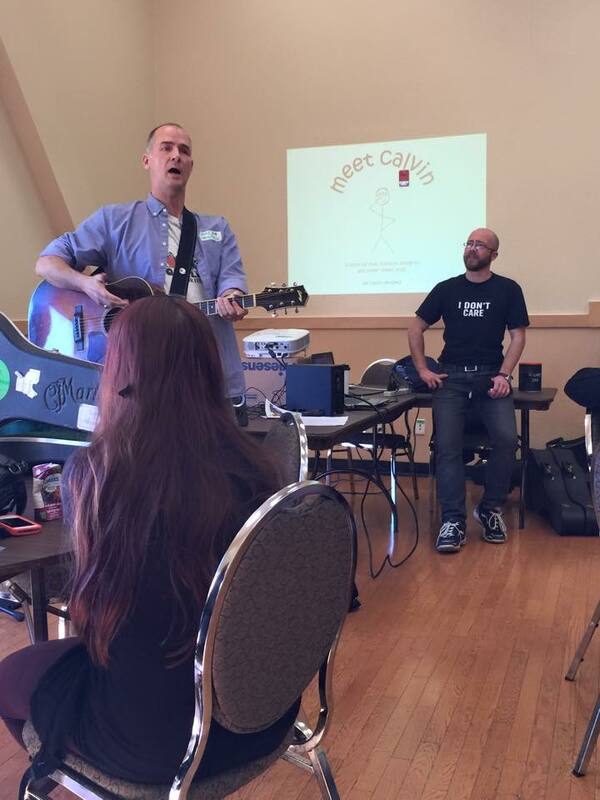 Calvin Neufeld hosted a workshop titled "Exploring Equity through the Arts" at Upper Canada District School Board's third annual Equity & Inclusion Forum. "This interactive workshop will assist students in discovering their inner artist through visual arts, words, music, or any combination of the above. 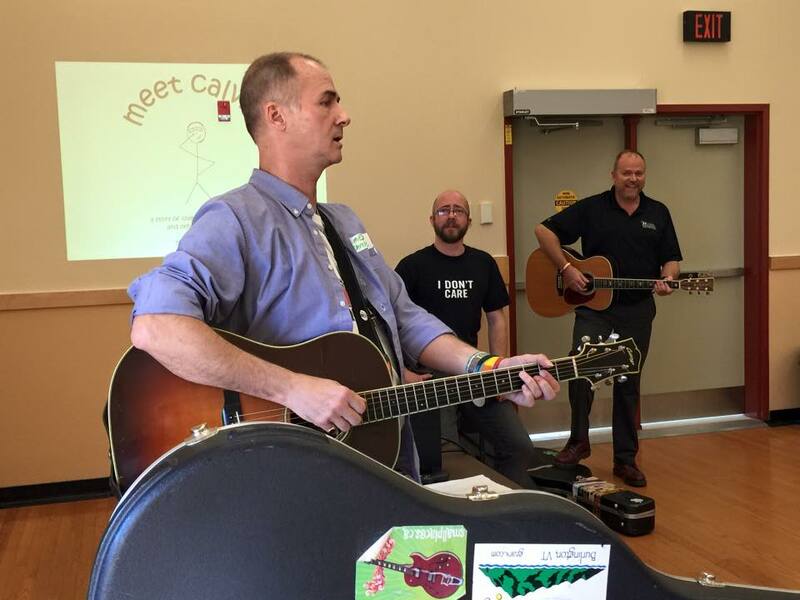 Stick-person philosopher and artist Calvin Neufeld will guide discussions while Principal Balfour and Vice-Principal Campbell will bring their musical talents to the creative mix. Discussion will explore equity and inclusion themes, the power of art to create change, and most importantly, how to be passionate about creating change in the first place." Calvin's talk "The power(lessness) of words and art in animal advocacy"